capable Foxy is piloting his helicopter around the city. I like your zany style. You would do well in the animation industry in America. I'd like to visit where you live. Been to Bangkok once for a week. This is great! I really like your style, particularly the blue-green city in the background. So nicely done! 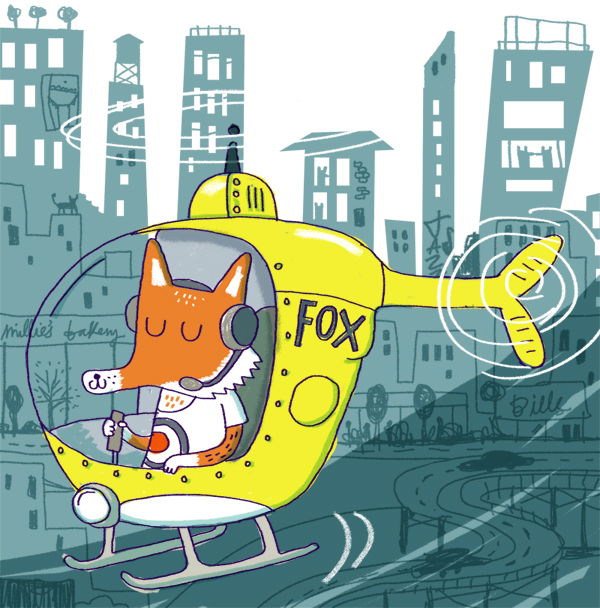 Cute fox and helicopter too. The colors are used perfectly here. Cool fox! This is so much fun! I feel like I want to watch the rest of the cartoon! me gusta la idea con humor y los colores que usaste! Nicely done! I love the bright colors here! So cute! Your pictures are all so sweet! Love your work especially the details at the background :) I chuckled when I spotted a knickers billboard on one of the buildings! Love the action, and the way you've treated the background. So fun! I LOVE this, fantastic illustration! Ha! Great foxy character! love your style! Really Nice piece. Love the background design! 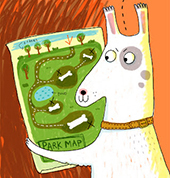 Thank you to everyone for your lovely comments this week!